It all started about a year before the trip even happened, back in 2016. The opportunity was brought to me and I just did not think it was something I could give up. So I made the payments, did all of the paperwork, and it was set in stone that I would be traveling to Barcelona, Spain in the following year. Since it was so far away at the time, the idea of traveling out of the country was put on the backburner in my mind. As August of 2017 rolled around and I had to prepare for the trip, that is when everything started to sink in. So many questions were popping up in my head. What if I get too nervous and can’t get on the plane? What if I don’t get along with some of the other participants? Shouldn’t I be saving my money to pay off these student loans instead of traveling the world? All of these questions, plus more, cluttered up my thoughts for the weeks leading up to our departure. As the morning of the trip came, I sat in the back of the car as my parents drove me to JFK Airport with a nervous feeling in my stomach. It wasn’t until we got to the security gate when the emotional wreck in me came out. I instantly burst out in tears and just couldn’t stop. I saw the tears welling up in my mom’s eyes as my dad reassured me that everything would be fine and that I would have a great time. I was so nervous to not only be traveling without my family, but to also be going to a foreign country for the first time. It took a few minutes, and a few hugs from my parents, for me to regain my composure and get in the security line. When I got through security and was heading to the gate our group was at, I was still nervous, but gaining confidence with each step. I saw some familiar faces (shout out to my Kutztown family!) and a bunch of new ones who welcomed me right away. 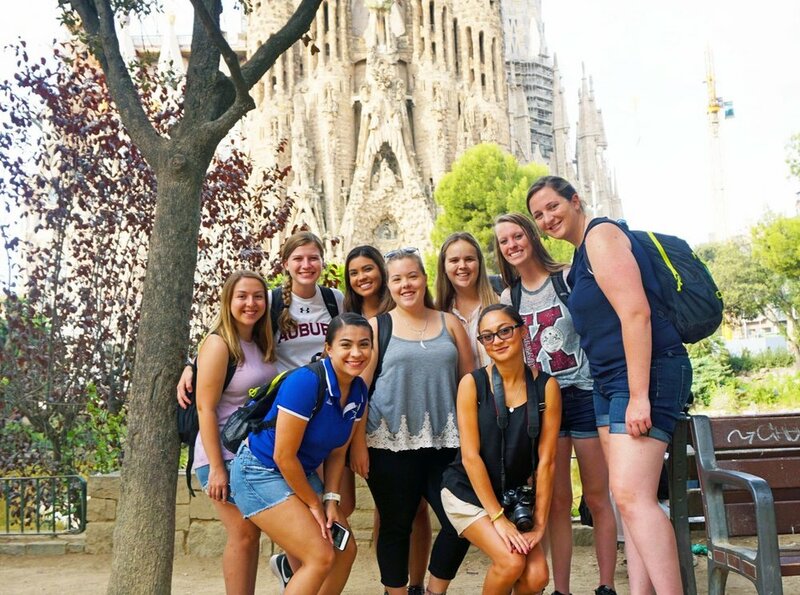 From the time that I got on the plane in New York with the 21 other participants and our mentors to the time I landed in Barcelona, Spain, I became so much more confident in myself and my decision to go on this trip. The butterflies started to go away and the excitement started to set in once I started experiencing all that the country had to offer. From the beautiful buildings and sights to the interesting cuisine offered at each corner street café, there was something new and exciting to experience. Our schedule was pretty packed all of the days we were there, so there was not much time to be worried. Each day we had different places to visit and explore or work that had to be done in preparation for the Red Hook Crit race day. The sightseeing in Barcelona was amazing, and I found myself becoming more and more excited to send pictures back home of what we did as the days passed. The other participants also made the trip seem less scary. 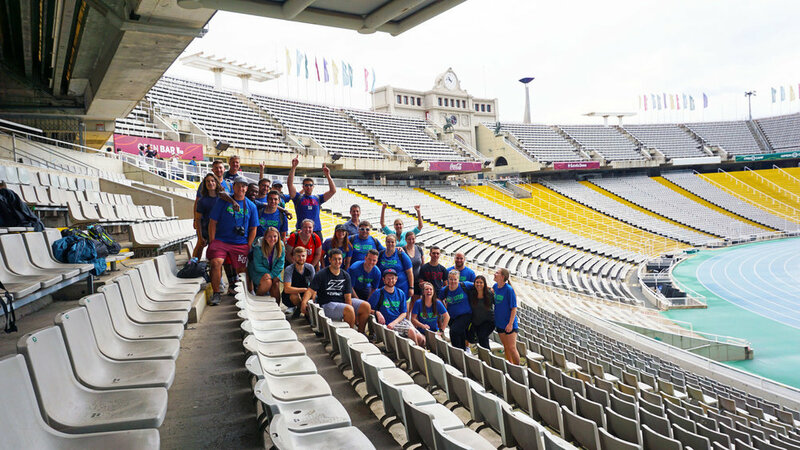 It was the first time being abroad for a lot of us, so we instantly had one thing to bond over, as well as all having a love for sports. As the week went on, I found comfort in some of the participants that had similar feelings and interests as me. All of these factors played a part in me stepping outside of my comfort zone, and actually being okay with it. I’m not saying I didn’t call home because I was homesick (I definitely did), but I was here to challenge myself and grow, and this experience did just that. Being a senior in college heading into my last semester, I have so many changes and decisions that I will have to deal with very shortly. Making myself do something that is completely out of my comfort zone really helped me see that I can do more than I confine myself to. I learned so many things and truly challenged my homebody-self on this trip. So if it had to give a few pieces of insight or advice to others who feel as if they need to step out of their comfort zone and do something they normally wouldn’t do, here they are. 1. Don’t overthink situations. Do what feels right and what your gut tells you. Most of the time, it is right. 2. Don’t focus solely on the end result. Think about the journey you will be on to that end result and what that could bring you. 3. Do weigh the pros and cons of the situation. It’s okay to have some doubts as long as you work through them. 4. Do challenge yourself to take on tasks that you never saw yourself being able to do. The payoff is worth it. Now I’m not saying you have start with something that is extreme right away. Your first step could be as simple as taking a class in a subject you don’t excel in or trying a new kind of food the next time you go out to dinner. These are all acts of leaving your comfort zone. The truth is, if you never leave your comfort zone, you are limiting yourself to what you know you can already do. If you do not try new things, go new places, or challenge yourself to see things differently, you may never know how far you can go in your life and career. No one should live with the feeling that they did not reach their full potential and that they were confined in any way. 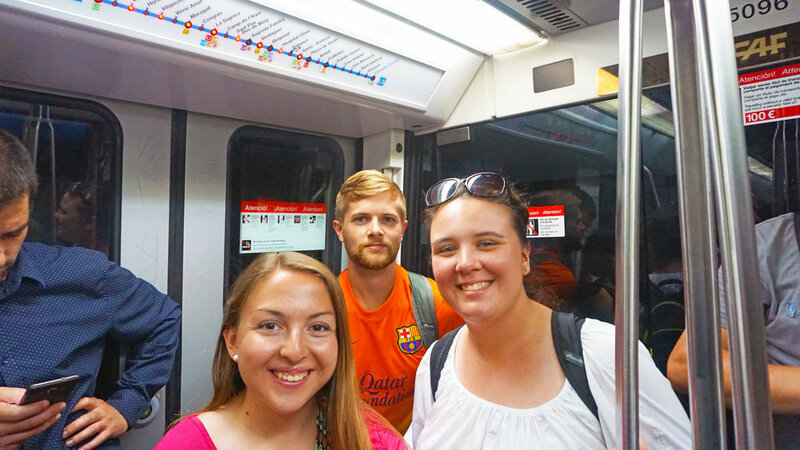 Traveling to Barcelona was the last thing I ever saw myself doing before I went on the trip. As I returned home, I realized that traveling to Barcelona was the first thing I should have seen myself doing. Leaving my comfort zone has allowed me to branch out and be more outgoing in many situations. From the mind of a self-proclaimed homebody, I challenge you to push the limits of your comfort zone, in both big and small ways. See how far outside of your comfort zone you can get, but never limit how far you let yourself go.